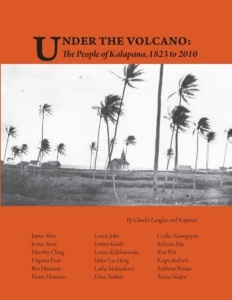 “Under the Volcano” is a documentary and oral history of the Hawaiian community of Kalapana, Puna, Hawaiʻi Island. Kalapana, which lies downslope from Kilauea, the most active Hawaiian volcano, is significant as one of the few Hawaiian communities that persisted on the land into the twentieth century. Encroaching lava flows forced The Kalapana community to move away in the 1980s. This oral history shares the memories of people who grew up in Kalapana in the 1920s and 1930s, much of it in their own words. It fills a major gap in the history and anthropology of Hawaiian culture. With the twentieth century, Hawaiians and Hawaiian culture tend to disappear from the written histories of Hawaii, seemingly less important than the burgeoning plantation economy and the prospering white and Asian immigrant groups. For their part, anthropologists did not do fieldwork to describe Hawaiian communities until the last half of the twentieth century. 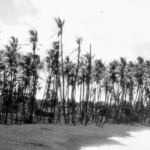 Earlier anthropological work was aimed at recording surviving traditional lore, rather than describing living Hawaiian communities.